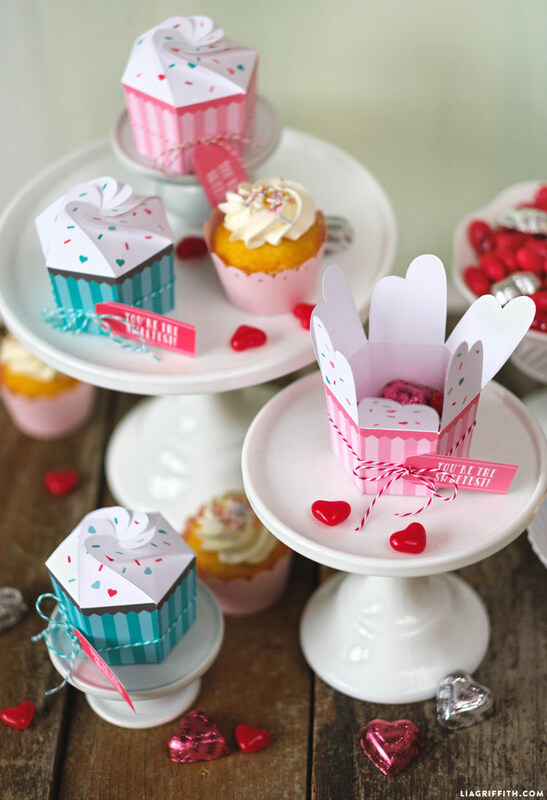 There are certain holidays that are forever associated with treats – Halloween, Christmas and of course Valentine’s Day. 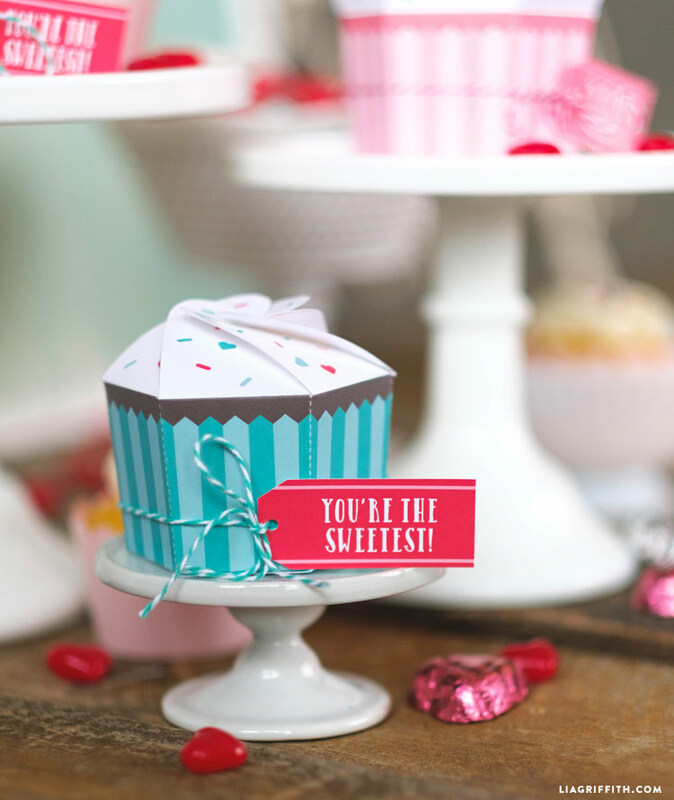 With February 14th around the corner, we created these individual cupcake boxes as a way to gift your homemade or store-bought cupcakes to the special people in your life. 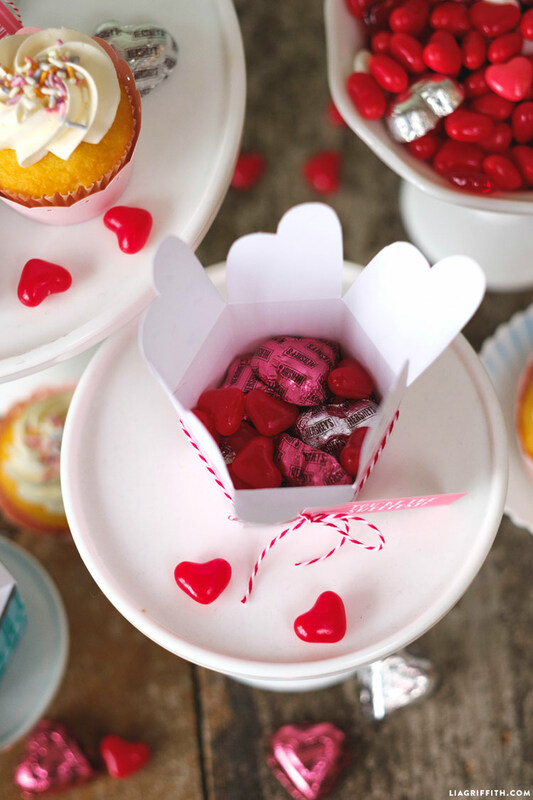 We had cupcakes on the mind for our Valentine’s treat of choice, but you can certainly use these cute DIY bakery boxes any time of year. These would be perfect for birthdays and teacher appreciation gifts, just to name a couple. 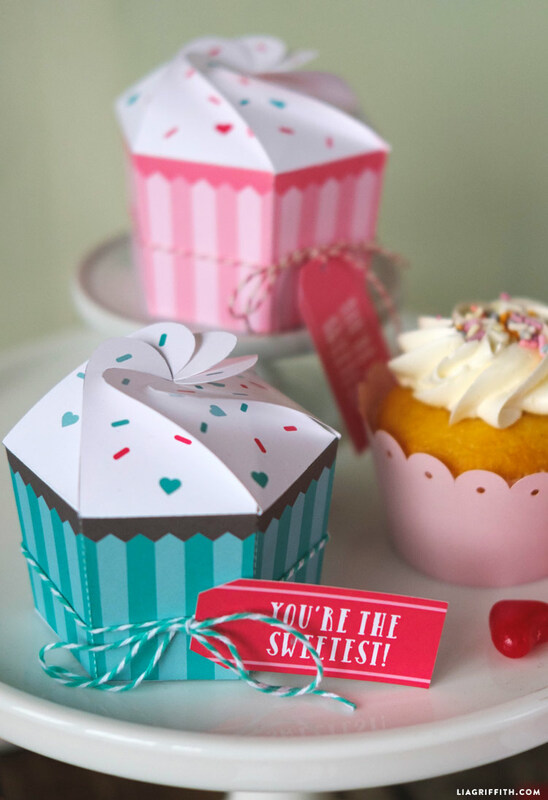 Fold the boxes and fill them with candies or mini cupcakes for a delicious surprise! 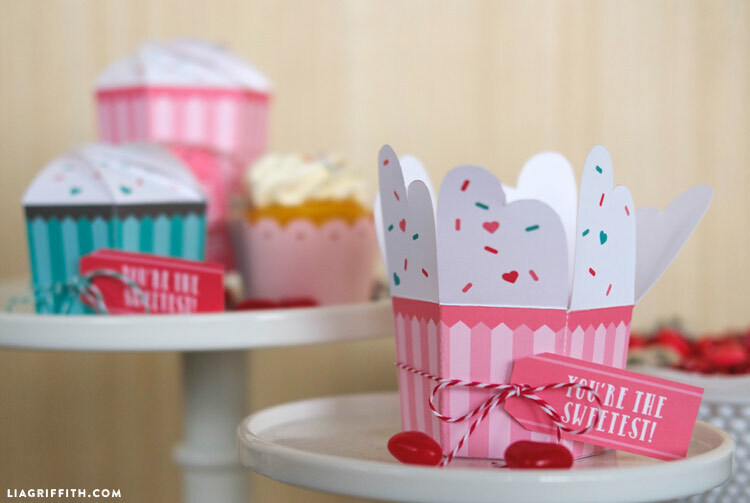 You have the option to download our cupcake box designs in two colors: pink or teal. 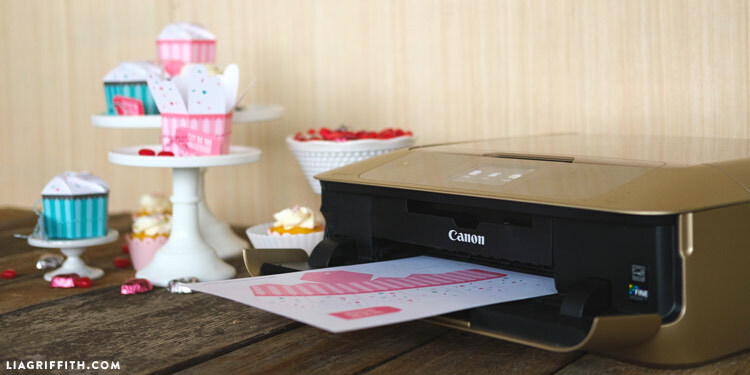 We started assembling the boxes by printing onto white cardstock with our PIXMA M7720 Wireless Photo All-in-One Printer. After printing, trim the design, which includes the foldable box and matching gift tags. 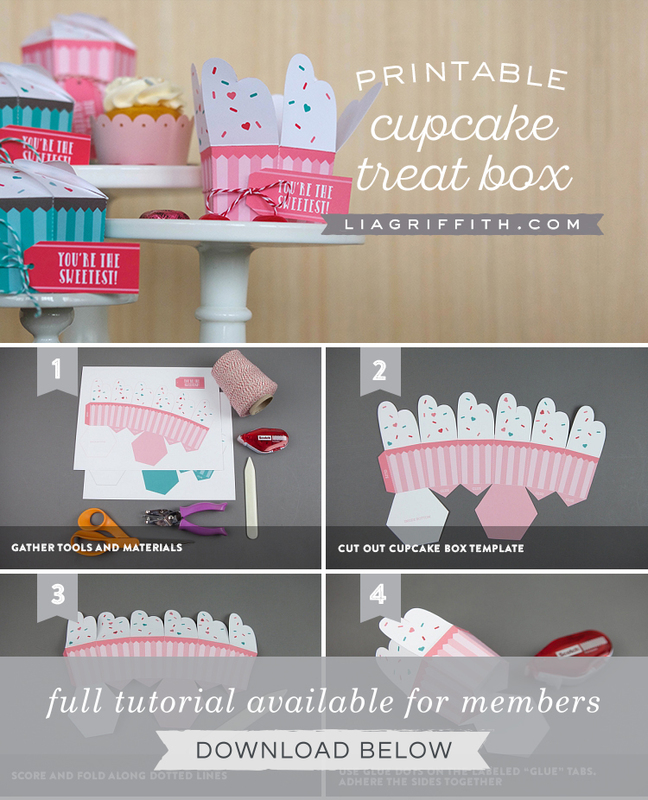 The template will indicate how to glue the bottom tabs of the cupcake boxes together. We used a glue dot roller, but tape or a glue stick are also good choices here. 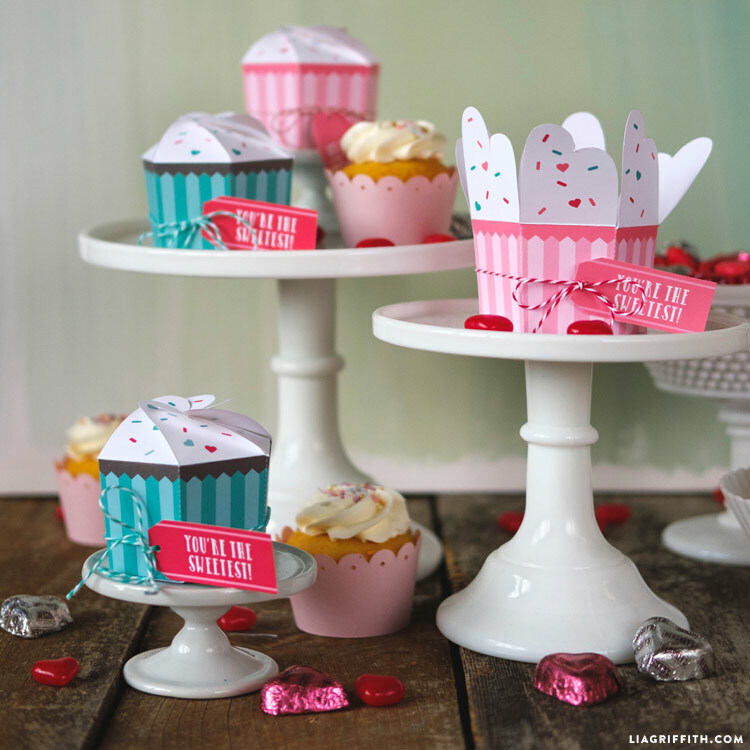 The top of the cupcake design includes a dollop of frosting, just like our pie slice boxes from Thanksgiving. We included a photo tutorial below to help you fold! Make sure that each tab overlaps in the same direction so that the box can close properly.